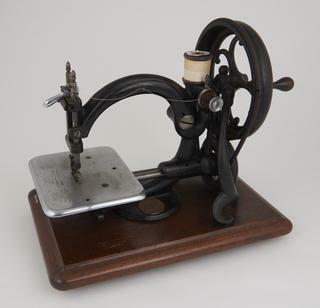 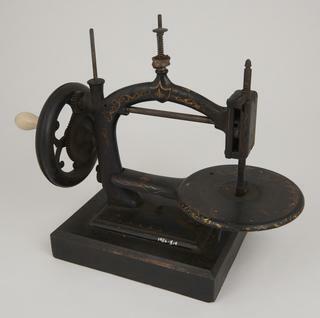 Grover and Baker two-thread chain-stitch sewing machine, 1871. 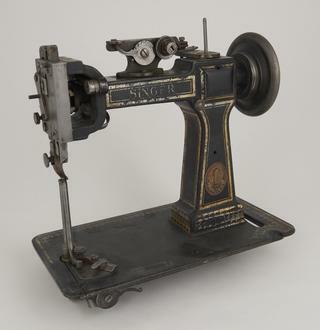 Willcox and Gibbs chainstitch sewing machine, 1877-1904. 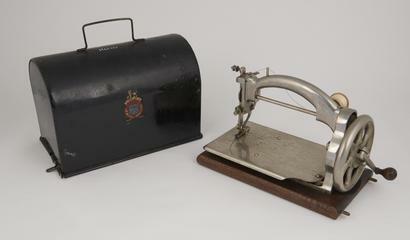 Essex miniature chain stitch sewing machine, 1945-1955. 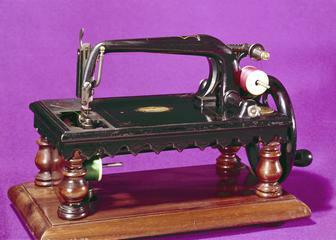 Tabitha chain stitch sewing machine.